Sweet Romance Reads: How do you handle all of it? With Labor Day approaching, vacations are officially over. I had a long break from writing during these past three months. After entertaining the grandchildren for two weeks at the beginning of the summer and two weeks at the end of August--and developing a monstrous chronic headache-- I am looking at my monitor screen and wondering where to start. The logical thing would be to write a list and organize my priorities. I did. This way I hope I won’t forget important tasks, as I did last Friday, the last day of my grandchildren's vacation. I was so busy supervising five kids, eleven, ten and nine-years-old, swimming and playing in the pool, I forgot to write my monthly post for a blog, and I forgot a physical therapy appointment. Although both the blog and the appointment were marked on my calendar. How could I do that? I love the children to death and enjoy watching them chat, discuss, argue, play on their electronic gadgets, and sing or scream, but I think my mind unconsciously protests and turns itself off. On Facebook, many parents posted pictures of teenagers moving to college and discovering campus life.Young mothers must have released big sighs of relief after watching their precious kids board the school bus. Later, they were probably sipping a delicious cup of coffee and enjoying their first minutes of freedom knowing that the children were safely tucked in school for a few hours. I don’t have college or school-age children but I watched my grandchildren gather their new books and head to their classes. Still for me too, work should seriously start. My husband just said with a smile: “It’s so good to hear the silence.” Yes, it’s great to enjoy again a neat and peaceful house and be able to talk to an adult without constant interruptions. But why am I so confused and turning around my place like a lost soul? Vacation blues? Do you ever experience them? Mona Risk is a New York Times and USA Today Bestselling Author. 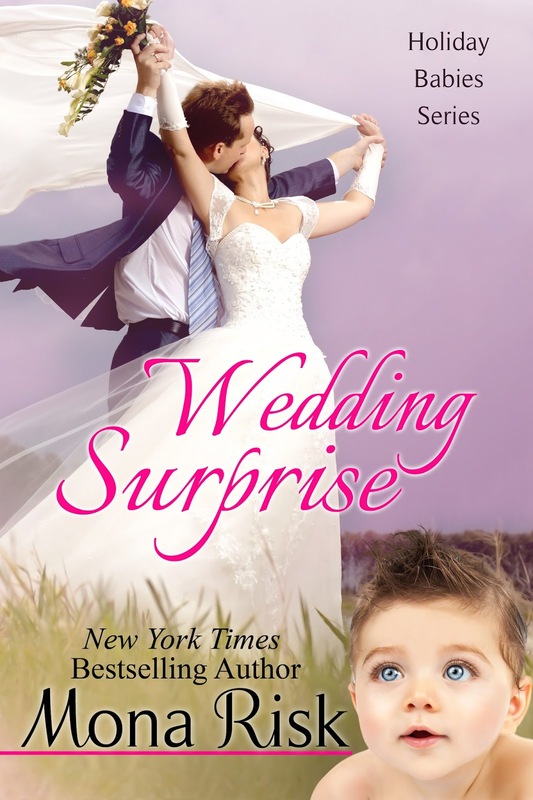 WEDDING SURPRISE is her most recent release. Unfortunately Mel, we are reaching a point where we enjoy work more than vacation! And especially our little routine. I'm dreading back to school - having to drag the kids out of bed, pack lunches, deal with the daily notes from the teachers, make sure they do their assignments, get them to the bus stop on time! And then winter comes and makes it all so much harder.